Official Service manual for 8 Valve models by Robert Bentley Publishers. 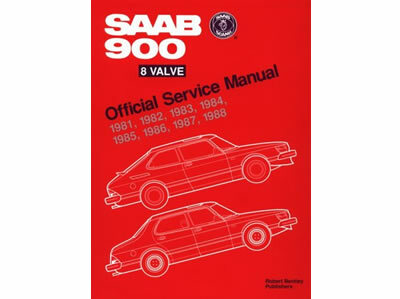 "The Bentley bible" - The only comprehensive factory-authorised, single source of service information and specifications for Saab 900 8v cars you will ever need! Featuring detailed, in-depth troubleshooting and repair information for practically all systems and components. The only service manual you will ever need!